You will also need to make sure that you don’t need to add new envelopes. Perhaps you find that you always go to your dining out envelope to get money for family fun. Why not make a separate envelope JUST for family fun? That way, have envelopes with a designated task and aren’t taking from one to fund another. Or, if you don’t want to do this yourself, you can try a service such as BillCutterz. This is a really cool site because they take your bills and negotiate for you. The way you pay them is simple. If they find a discount for you, the cost is split between them. So, if you would save $10 a month, they get $5 of that sent to them. This is a great option for someone who wants to cut bills but just doesn’t have the time to do it. Learn more about BillCutterz HERE. 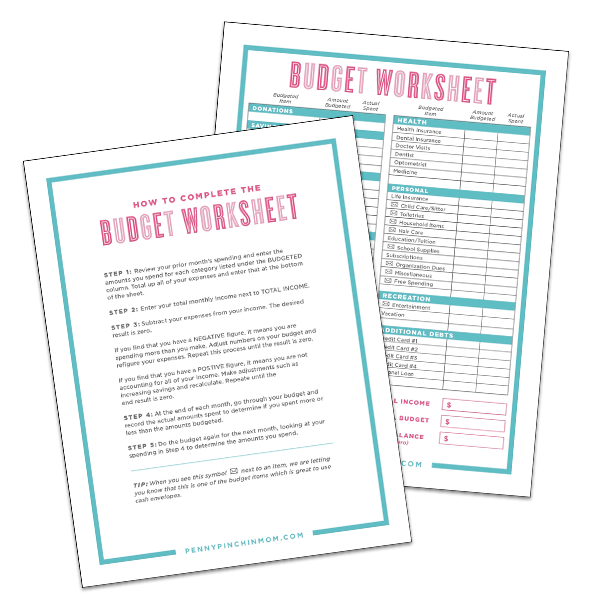 Goals are a great tool that we often use in many areas of life, but what about budgeting? The truth is, you might already be doing it and not realize it. If Aldi is not an option, take the time to learn how to shop the sales and to use coupons to help lower the amount you spend on food for your family. The only caution is to watch the introductory period. You need to pay it in full or transfer it again before the period lapses. Credit.com is an excellent resource to help you determine which card is the best option for you. Take a good look at not only your auto insurance but also your homeowner’s and life insurance. In addition, if you do not yet have life insurance, this is the time of the year to consider purchasing it. It isn’t for you – it is for your family. 1. smoking. I NEVER hear this mentioned. This isn’t an easy one; much motivation and ongoing effort is required to quit and resist a relapse. One pack in Washington state is somewhere between $20-$30. I don’t know exactly since I have never smoked. Lowering and quitting smoking can redirect A LOT of money to family needs, especially food and shelter. I am talking any type of tobacco.